If I were to say my son goes to a CISCE school – would you be wondering which board I am referring to? No, it’s not another imported educational board, but is the same thing more popularly (though incorrectly) known as ICSE school. 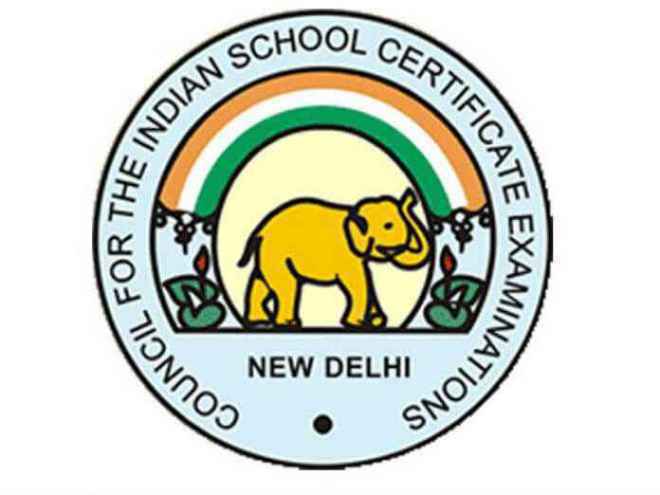 CISCE, i.e., Council for the Indian School Certificate Examinations is celebrating its 50 years of contributing merit in education. We will take a look at the top ICSE schools in gurgaon in this article. CISCE is the governing body and board that grants affiliation and conducts the following examinations - ICSE and ISC for class X & XII respectively; so in essence the right peer and alternative board to CBSE is CISCE and not ICSE; ICSE can be compared with AISSE – see table below. TSRS Aravali, one of the top ICSE schools in gurgaon and has been in the forefront of the academic results for its ISC and ICSE exams. Ms Manika Sharma, was chosen as one of the India’s 28 best school principals by EW in 2011 as then principal of TSRS Vasant Vihar, New Delhi, is now the Director of the TSRS Aravali, Gurgaon. The founder chairperson Mrs. Manju Bharat Ram was confabulated the Padma Shri posthumously and has numerous educational pursuits to her credit. With beautiful and dominant grey stone buildings trimmed in turquoise, The Shri Ram Moulsari Avenue, another top ICSE schools in gurgaon, runs the middle and senior school in gurgaon for their primary wing at Vasant Vihar Delhi that holds the top rank in the all-India EW 2014 survey for day schools. The Shikshantar School is an initiative of the infrastructure giant Unitech with the Pre-primary section located on a plot of land 50 metres from the main school plot. Founded in 2002 on the belief that every child has a built-in ability to learn, Shikshantar School has been firm as a top ICSE schools in gurgaon. With the administration under vashisht sewa medal awardee Kartikay Saini and guidance from eminent educationists, the Scottish School, which is one of the top ICSE schools in gurgaon, has seen a metamorphic rise to the 5th all-India rank in International Schools in the EW survey, 2014. Rishi Public school was established in 1996 by Swaran Devi Foundation, Indraprastha with a mission to provide world class affordable education. It is one of the few ICSE schools in Gurgaon to provide day-boarding facility and coaching classes for competitive examinations such as IIT-JEE, NTSE, CA CPT and NEET. With its roots in the ideals of Sri Aurobindo and The Mother, the Matrikiran School is an initiative by the infrastructure giant Vatika. The Primary wing of the school is functional at Sohna Road, while the middle and senior wing is coming up at sector 83, Vatika India Next, NH8, Gurgaon. The Banyan Tree World School is a co-educational English medium ICSE school in Gurgaon part of a chain of schools with branches in Delhi, Jaipur, Chandigarh and Lucknow. CISCE was established as a solution for the replacement of the overseas Cambridge School Certificate Examination by an All India Examination. As per the difficulty level is concerned, CISCE syllabus cannot be termed as difficult. The right word to describe it would be “expansive.” This is to do with the fact that the CISCE syllabus is vast and does not limit itself to the text books. The students are encouraged to study in detail using the reference books as well. The Board provides the stepping stone to the college education where a similar practice is followed. The council also provides arrangements for the handicapped and the students with special needs in any way. There are provisions for such children in the examinations so that it does not in any way effect their results. A special difficulty procedure is used in case any student is in any kind of difficulty or suffering from some injury. The answer sheet of the student is given special consideration in such cases. The Indian Certificate of Secondary Education (ICSE) is designed to supervise the exam of general education with the guidance of the New Education Policy 1986. It is English medium. Private candidates are not allowed to give these exams. ICSE is a school examination and standard of the examination assumes a school course for ten year duration. In case the candidates who are being entered for the first time to appear for the exams, there are set rules. They must have a minimum of 75% attendance of the working days during each of the two years preceding the examination at a school that is affiliated to the council. Subjects for the examinations at the end of Class 10th are grouped into three categories that are evaluated internally and externally with both evaluations having designated weightages. From 2015, the compulsory subjects will include English, a second language and History, Civics & Geography. The students are required to study two subjects from the second group consisting of 7 subjects. A majority of schools opt to offer Mathematics and Science from this group over subjects such as environmental studies, commercial studies, economics etc. The third group consists of 13 subjects from which one is required to be studied. Most schools provide at least a few options for students to choose from with physical education, modern foreign language, art and performing art being some of the popular choices. In addition to the external examinations, the school must evaluate the students in practical or project work for the six subjects and in Socially Useful Productive Work (SUPW). An assessment is made on the basis of performance on the internal and external examinations for the subjects and the results are then counted towards the award of the certificate for it. The Indian School Certificate (ISC) Examination is also English medium and has been designed as an examination to be taken only after the two year course of Indian Certificate of Secondary Education, i.e., ISCE or its equivalent. Private candidates are not allowed to appear in these exams and there is no age limit for the candidates taking the exams. ISC Examination require the students to study a minimum of four subjects and a maximum of six subjects with English being the only compulsory subject and 29 other elective subjects to choose from. The schools usually offers the elective subjects in combinations that align with university and professional requirements. Some of the popular combinations include mathematics, accounts and business studies or mathematics, physics, chemistry and geometrical & mechanical drawing.